It has been a few years since I have popped in to share our current cleaning process and schedule. Just like our home has evolved as our family has changed and grown over the years, our cleaning tasks and assignments have also changed. I have always been a believer in everyone chipping in to help around the home, and our kids have been actively helping sweep, do laundry and wash dishes for years. But there have been times when we fall off track or when some of us seem to carry more weight than others. Or certain tasks would be neglected for far too long. The only way we have ever been successful in staying on the same page and holding everyone accountable has been through creating and displaying charts. 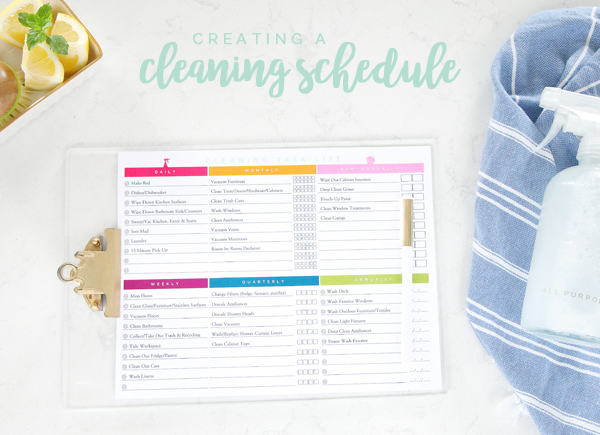 Today I am not only going to share some sweet new printables with you all, but I am also going to share our current cleaning plan. We are in the busiest stage of life yet. Our three boys are in three different schools as well as three different sport leagues (with 6-7 days of practices and traveling), Bryan works full time, coaches High School baseball and does contract work, while I have been working on projects outside of the home, caring for my nieces a couple days/nights per week, running the boys to and from games, practices, drivers education and work, all while trying to keep this blog and all of its arms afloat. We cherish any spare second of time we have these days, and the last thing we want to do is spend our time cleaning together. 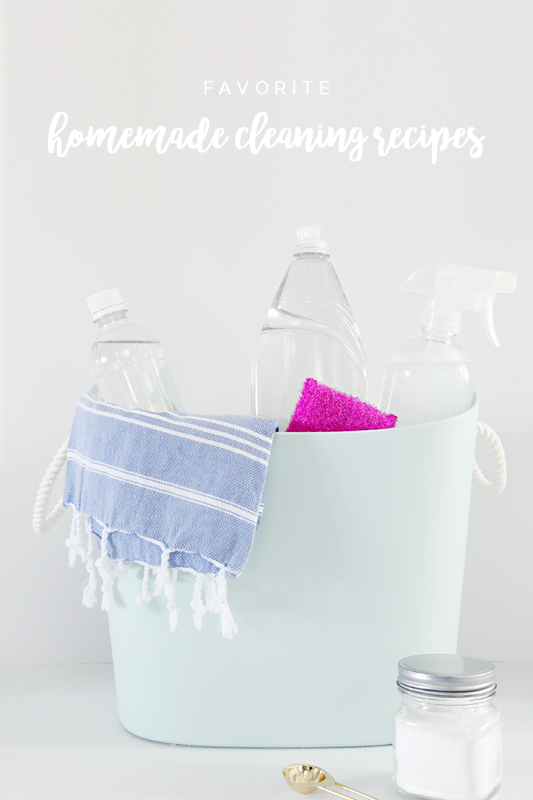 Every year that I have been a mom, my cleaning expectations and standards have lessened, although, I will always crave and appreciate a clean home. 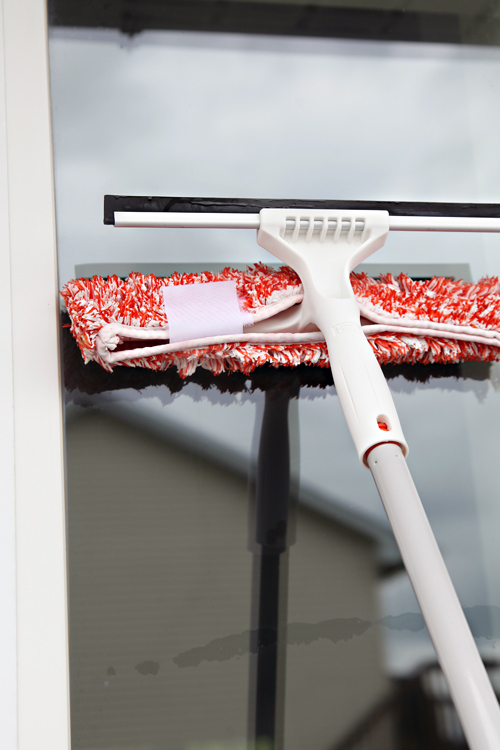 Without hiring out cleaning completely, is there a way to find that perfect balance? Is it possible to maintain a tidy home while utilizing spare time for going to the park and reading by the fire and building Lego cities and working on afternoon crafts? This is something that has been on my heart so much over the past year; balance, time and family. Not cleaning. So while I am not aiming for perfect, and maybe clean some things a little less frequently than others, we have found a pretty good balance for us right now. Here are a few of my top tips as well as our current cleaning schedule. I have found that if we get too comfortable or things start to slip, that we all benefit with a quick family meeting. We talk about the importance and benefits of task sharing, discuss our current schedules and assess our home goals and priorities. We quickly cover all of the tasks that we find important to work on daily, weekly, monthly, quarterly, semi-annually and annually. I jot them all down and then we talk through priorities and schedules and what chores make the most sense for each family member. Everyone is encouraged to participate and make suggestions, and this has been our biggest cleaning win. TIP TWO: WHAT REALLY MATTERS? This will really be different for everyone. No two homes, family dynamics, schedules or expectations are the same. You really just have to decide for yourself what matters in terms of your time and cleaning desires. I have put some cleaning tasks on the chopping block in order to spend more time on other things, and for the most part I haven't found any negative impacts from doing that. 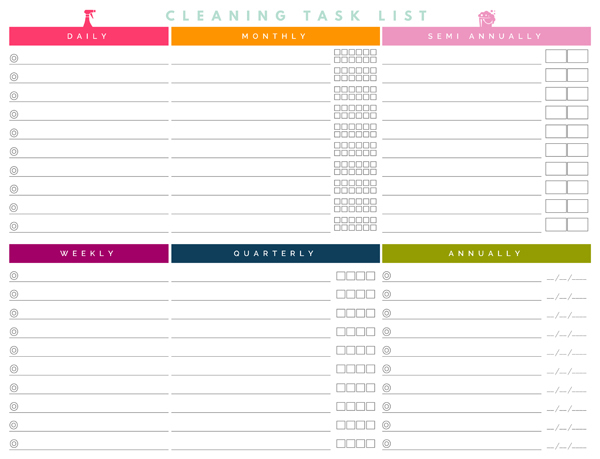 So while creating a cleaning schedule and plan, consider how much you really have to do to find your cleaning harmony. What happens when someone doesn't pull their weight? Kids can be a roller coaster of behaviors and emotions and sometimes they don't want to play nice. OK, who am I kidding? We ALL have those days. There will be times when the boys might ask for help from us or each other, or task share, or even lose a privilege if they aren't staying accountable. But generally speaking, if we have all of our expectations set in advance and stick to a routine, things go much smoother. The kids know that when they ask to play at their friend's house, my first question will be, "Did you finish your daily tasks?" Now I can predict when I am going to get asked for something because they will rush to get their chores completed. That doesn't happen overnight, it was a process that came from a little diligence on all of our parts. 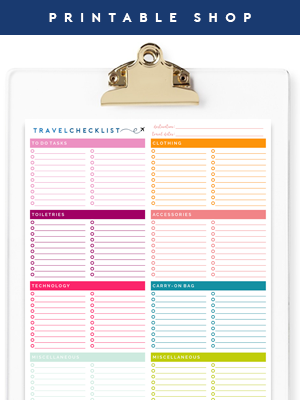 This is where the printables and checklists come in handy! 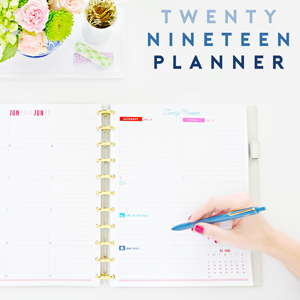 And I am very excited because I have finally put together a printable that YOU can pre-fill on your device and either save and utilize electronically or print out to add to your planner or post on your command station. I have been wanting to add this feature to my printables for years! There are two primary checklists that keep us on track, both I have modified and updated to share with you today. One covers the entire year, while the other keeps us afloat each week. Above is a general task list that we filled out with what we hope to accomplish over the course of a year. 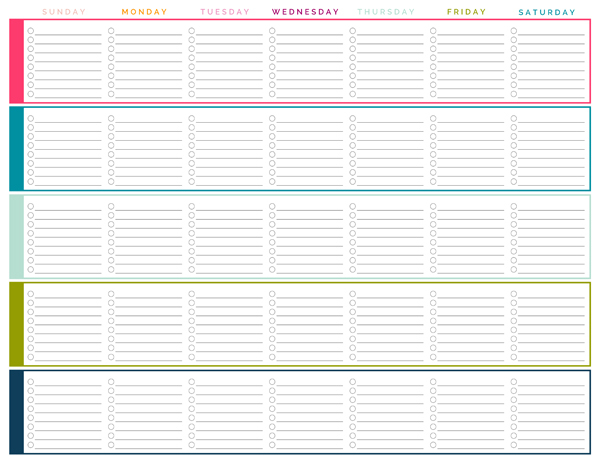 A space to check the list daily and weekly, as well as checkboxes to track those less frequent tasks. Let's take a look at the tasks we filled in on our family checklist and a little more detail about each one. When it was time to come up with daily tasks, we selected things that make the biggest impact to our day and the appearance of our primary living spaces. Make Bed // This is a goal, but not an everyday thing. There is just something about a made bed that completely transforms the entire look and feel of the bedroom. It is also more enjoyable to crawl into a made bed at night so I try to start and end the day on a positive note. Dishes/Dishwasher // Dishes pile up fast around here so running the dishwasher and a quick handwash is a high priority daily task in order to keep our kitchen sink and counters clutter free. Wipe Down Kitchen Surfaces // If I force myself to wipe down the sideboard, dining table, counters, and island every night, it also forces me to do a quick counter declutter. Wipe Down Bathroom Sink/Counters // A quick scrub of the sinks to remove whiskers and toothpaste and a speedy wipe down of the counters keeps the bathrooms feeling fresh and clean until our deeper cleaning day. 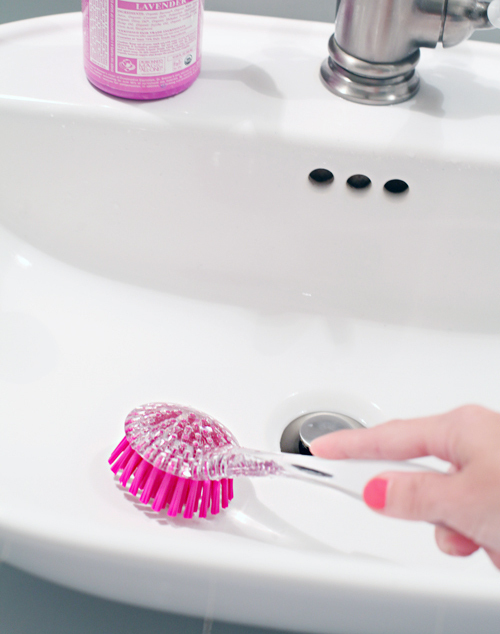 Tip: Store scrub brushes, rags and cleaner below the sink for quick access. Sweep/Vac Kitchen, Entry & Stairs // I try to run our vac or do a quick sweep of the primary hard floors in our home each day. With a shedding dog, tennis shoes and cleats, and nightly dinners, our floors feel the most pain. I only focus on the dining/kitchen and entryway each day, and the stairs twice per week. Sort Mail // Every day when the mail comes in, it is open, sorted and the junk is recycled. Anything that requires action lives in a bin that is tackled once a week. Laundry // We wash 1-2 loads of laundry per day, but the biggest change we have made this past year was to assign each person their own day. Each day of the week is assigned to a family member, while Sunday is when I wash specialty items and linens. 15 Minute Pick-Up // This is for everything else, and we rarely ever need the entire fifteen minutes. During this time we will make sure that everything is ready for the next day (lunch boxes, backpacks, papers, etc...), pick up any daily clutter, fluff pillows and fold blankets, etc... This time shrinks if we stay on top of basic cleaning and picking up each day. OK, I know what you are thinking. If you add up all of that time, the average is about 45 minutes per day. Buuuuut, when you divide that by the five people that live in our house, it goes down to about 9 minutes per person! That is definitely skewed, but having all hands on deck does reduce the total time any single person has to spend cleaning each day. I rarely have 45 minutes to dedicate to cleaning, but I can definitely find 15-30. Especially if I am awake for 17+ hours of a 24 hour day. These tasks are not quite as urgent or impactful to the overall feeling of our house each day, but are still fairly important. I wouldn't want to go too long without doing most of these items because the longer they go untouched, the longer it takes to clean them when the time comes. 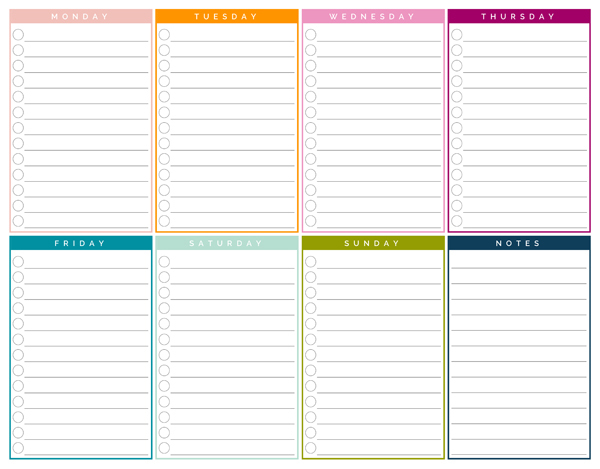 Many of these tasks are sprinkled in throughout the week so we aren't stuck doing extra chores on the weekends. Mop Floors // I will touch up spots on my dining/kitchen floors with either my all purpose spray or spray mop as needed, and then once per week I will thoroughly cover all of the hard floors in our home including the three bathrooms. Clean Glass/Furniture/Stainless Surfaces // This includes cleaning mirrors and glass, as well as our two primary windows (front picture window and back sliding door). Furniture is given a dusting and kitchen appliances and cabinet faces are quickly wiped down. Vacuum Floors // All rugs and carpet are vacuumed. Clean Bathrooms // Toilets and showers are cleaned. Collect and Take Out Trash/Recycling // Each week on garbage night we collect all of the trash from the bins throughout the house and take it down to the curb. Tidy Workspace // It's nice to start the week with a fresh work surface, this goes for myself and all of our boys. Clean Out Fridge/Pantry // Before and after my weekly trip to the grocery store, I clean out any expired foods and leftovers from our pantry and fridge. I wipe up any spills and do a quick inventory of our stock to be sure I am meal planning accordingly and not over-purchasing food we already have on hand. Clean Out Cars // Our cars always seem to get so messy so quickly. We try to bring everything in each day, but let's be real, there is always containers from eating on the road, dirty socks and athletic gear, loose change, travel mugs, napkins, cords, etc... I shudder just thinking about it. It really helps to dedicate a couple of minutes each week to cleaning out both cars and wiping them down. 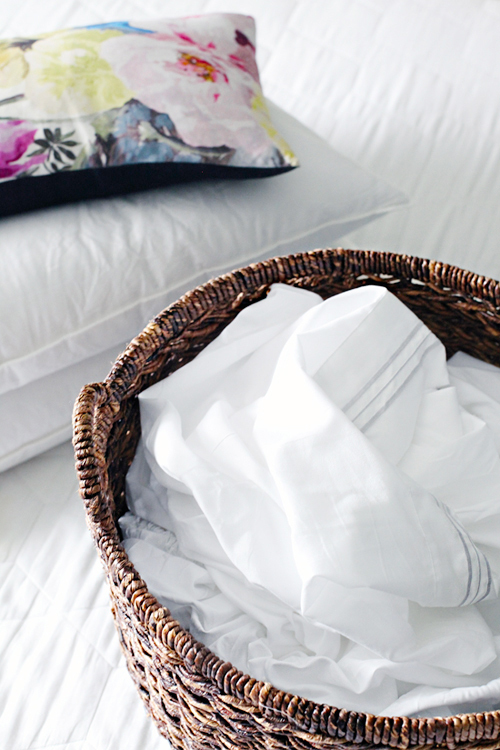 Wash Linens // As I mentioned above, once per week we wash any specialty items, bath mats, and bedding. These items slowly get grimy, so we make an effort to check on them once every month or two. Vacuum Furniture // This includes vacuuming the sofa and chair cushions, as well as removing the cushions and vacuuming the remaining nooks and crannies of the furniture. Clean Trim/Doors/Hardware/Cabinets // I love white trim but it does show everything. Each month I try to quickly run my vacuum brush attachment along the floor trim and then wipe down the interior trim and doors where they are dirty (I am not scrubbing every last piece of trim from floor to ceiling each month). I will also clean the white treads on the stairs, wipe down door handles and cabinet hardware, and also clean the cabinet faces throughout the remainder of the home (the kitchen cabinets are wiped down weekly). Clean Trash Cans // I can't seem to figure out how trash cans can get so sticky and dirty when they are generally used with a bag, but each month I spray them and wipe them down inside and out. Wash Windows // I only clean our primary windows each week and the remainder of our windows are washed once every month or two. I will wipe down the glass and clean the grooves with a rag and cotton swabs. 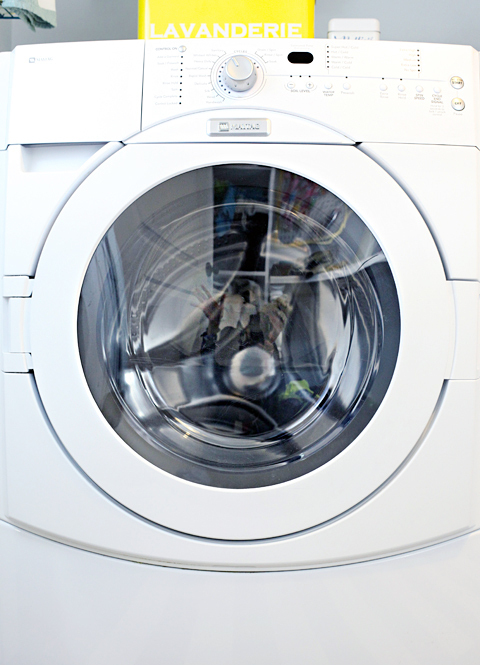 Clean Appliances // The dishwasher and washer are run through a special cycle to clean the interiors and then wiped down. The oven is vacuumed, the glass door is cleaned and the interior wiped down. Fridge shelves and bins are checked for spills and the microwave interior is also cleaned. Vacuum Vents // We take the vacuum brush attachment to the vent covers, exhaust fans, and dryer vents. We will also remove floor vent covers and vacuum down as far as our hose will reach. Vacuum Mattresses // We run over the mattress tops with the furniture attachment and then sprinkle a very thin layer of scented baking soda. This task is also a trigger to rotate mattresses and wash specialty bedding. Room-By-Room Declutter // This one task really makes a big difference in how we maintain all of the organizational systems we have put in place over the years. Once a month I will grab a basket and go room to room to remove anything that we no longer need or use. The number of items collected is generally less and less each month, but I do try and challenge myself and the rest of the clan to be ruthless. This process includes pairing down bathroom toiletries, quick clothing purges, extra papers and office supplies and junk drawer revamps. We keep a bin in the trunk of each car for returns and donation drop-offs and staying on top of this each month prevents us from having to do big annual purges and closet cleanouts. Quarterly we will tackle some general home maintenance items. Change Filters // We check in and clean or replace the filters for our fridge, furnace, fans and air purifier. Descale Appliances // I run my descaling solution through my coffee machine and maybe clean our iron. Descale Shower Heads // We fill gallon-sized bags with vinegar, attach them to our shower heads with rubber bands and let them soak overnight. The following morning we remove the bags and run the water through the shower head. If they are heavily clogged, they can be boiled in hot water and vinegar for 10-15 minutes and scrubbed clean with a bristle brush. Clean Vacuum // The vacuum is disassembled and cleaned, including the filters and brush roll attachment. Wash/Replace Shower Curtain Liners // Liners can be washed in the washer if you add some soft towels to the mix. I just wash with our regular homemade detergent by adding it directly to the drum of the washer and vinegar to the fabric softener dispenser. Hang to dry. Clean Cabinet Tops // The very tops of our cabinets and tall furniture are vacuumed/dusted/wiped down. 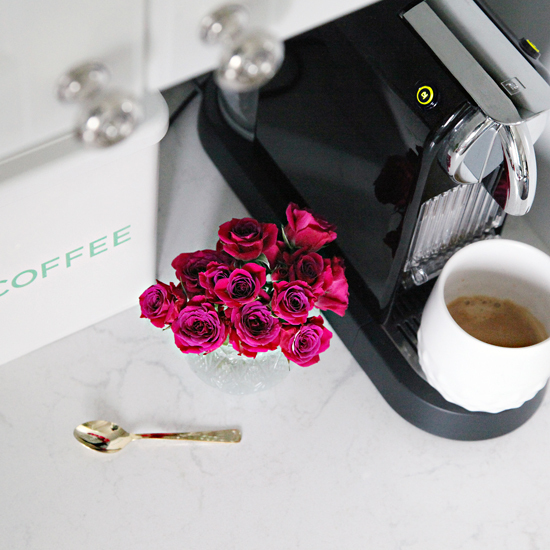 The little things that still make a big difference, these items are generally forgotten about but really do give the house a quick pick-me-up. Wipe Out Cabinet Interiors // Dust can collect and build up behind closed doors, so twice a year we remove everything from our cabinets and drawers to vacuum them out and wipe them clean. Deep Clean Grout // We have gone through the process of sealing our grout so our daily maintenance keeps it pretty clean, but a couple of times per year we give it a little extra attention to clean up bad spots and even re-seal it if necessary. Touch-Up Paint // Occasionally walls, trim, and furniture show our wear and tear so once or twice a year I like to do some quick paint touch-ups. Clean Window Treatments // I am not one that will wash my curtain panels as I have shrunk them and ruined them in the past. On occasion, I will go over them with the brush attachment on our vacuum and will dust the grooves of our wooden blinds. 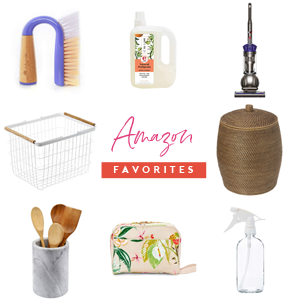 Clean Garage // Each spring and fall we try to do a clean out of our garage which includes purging old items, dusting anything on shelves and washing the walls and floors. These are the items that typically fall on our Spring Cleaning to-do list which we will tackle over the course of a few weekends in April and May. Wash Deck // With some deck wash and a handled scrub brush we remove a year worth of outdoor grime. Wash Exterior Windows // The exterior windows are sprayed with the hose, cleaned with our long handled window attachment and then squeegeed dry. Wash Outdoor Furniture and Textiles // Each spring I will wash our outdoor cushion covers in the washing machine and spray and scrub non-machine washable pieces. We also take this time to oil our wooden furniture and wash the dining tables and chairs. Clean Light Fixtures // The globes and shades to our pendant lights and sconces are removed and washed. Deep Clean Appliances // Once a year we will pull out appliances and clean the floor under and behind them. We will also wipe them down and vacuum any vents and hoses. Specialty pieces/components are removed and washed. Power Wash Exterior // Have you ever sprayed down your siding with your garden hose or a pressure washer? I am always wide eyed at the amount of dirt and number of bugs that come streaming down when I do this, so I try to at least spray down the siding on our front porch, around the garage door and along the back side of our house once every year. We generally try to leave our Saturdays as our "play" days. We do the bare minimum on this day each week so we can focus on refreshing ourselves and doing things we enjoy. When it comes to many of the tasks that we spread out throughout the year, we may schedule them in for a few hours on a weekend or check one or two things off when we have a slower week or season. We can add dates to the checklist and always see what we haven't touched in awhile when we have some time to spare. The goal is not to be overwhelmed, and if we pile on a few things one weekend, we may decide to treat ourselves to something special the next. I have found that these lists work best when they can be paired with a dry erase marker, especially the things we need to focus on daily/weekly. That way we can display the chart in a central location, check it off each week, and then start again the following week without printing a new sheet. I purchased some flat clear sign holders that I affixed to the inside of our pantry door with Command Strips. The annual printable slides behind our weekly list; we use a pen for maintaining the annual page, and the dry erase marker directly on the acrylic holder for the daily tasks. The acrylic is easily wiped clean with my homemade screen cleaner and a dry rag. (I use the second sign to hold our meal planning printables). 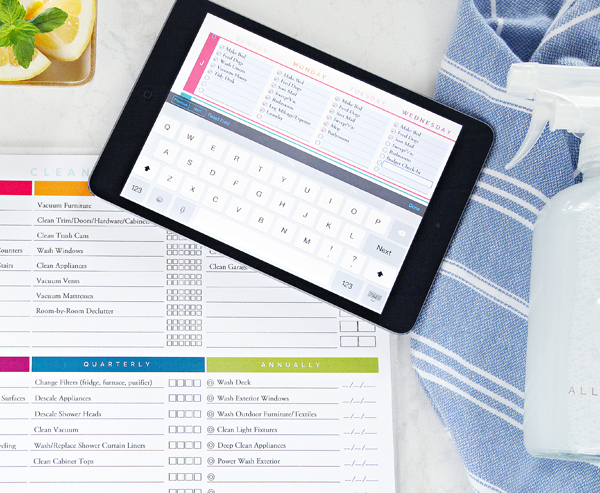 The downloadable printable has five total pages, breaking down a week for five, four, three or two people, and another that can be used with even more flexibility. 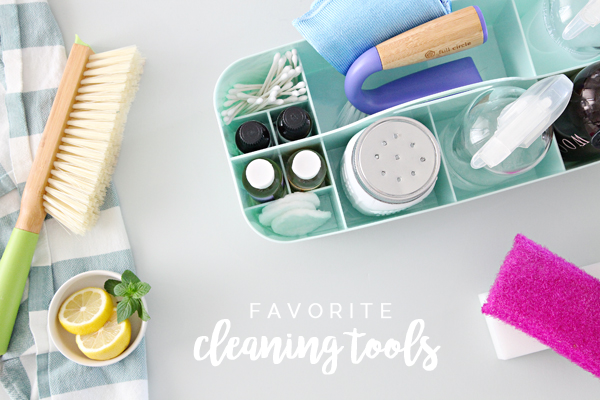 I know that cleaning is not generally a favorite activity and that most of you would rather be doing just about anything else. But, there are ways to make it more enjoyable and to help ease some of the pain. Upbeat music is a great way to boost energy and lighten the cleaning mood. I have become completely addicted to podcasts and find they are a great way to keep me entertained while I do mundane chores. Audio books have the same effect. Clean with another person and agree to be personal cheerleaders for each other. Set a timer and race the clock. See how much you can accomplish in just a short amount of time. Host friends/Have a party! If I need a little motivation I will invite some people over for appetizers and drinks. It's a great way to check a few extra things off of my list to prep the house and then reward myself after. 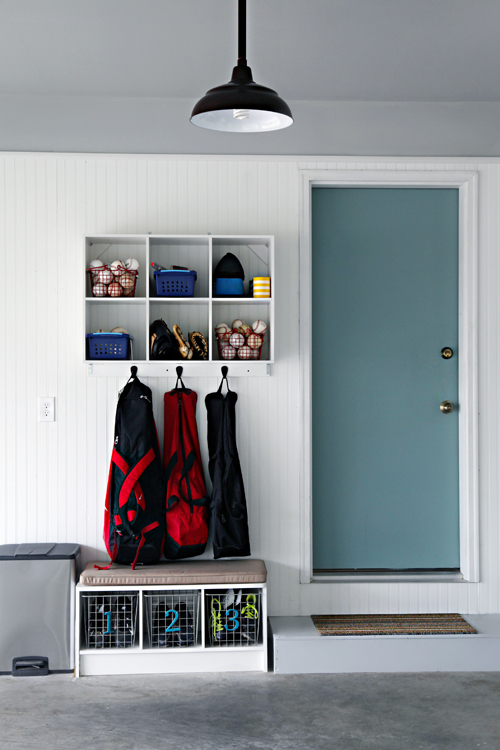 Think of other fun ways to incorporate your hobbies into cleaning. Do you love to exercise? 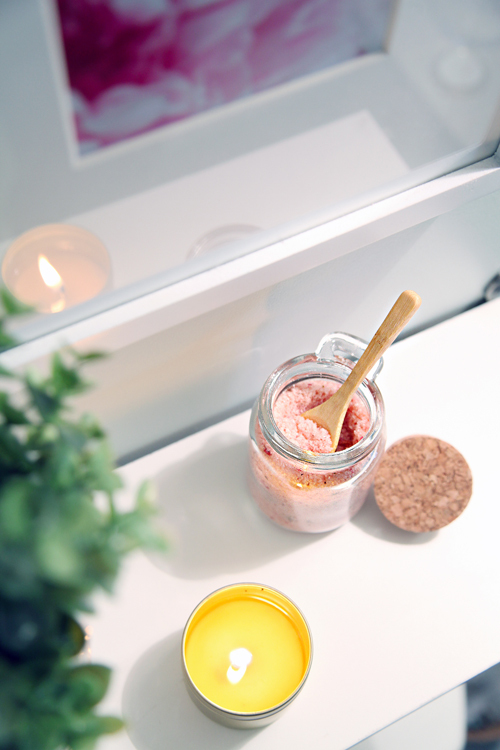 How can you build a workout into your cleaning routine? Lower your expectations. Your family members may not clean to your standards, but if they are trying, then keep them encouraged and let their efforts be good enough. If they see you re-doing their work, they won't be motivated to do it again. Fall behind? It happens! Give yourself a few hours to catch back up. Start at the back of the house and work your way to the main living areas. Grab your cleaning caddy and an empty basket to collect items that need to be re-distributed. Give yourself an hour or two for each level of the home. You can do it! Having a place for everything is SO important and is what helps reduce time while picking up. It is always the items that don't have a home that end up piled on random surfaces and cause headaches. 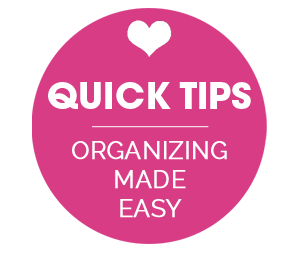 Prioritize those items high on your list to organize as it will save time in the long run. Less is always more. Less to organize and clean means more time to do the things you truly love. My goal is always to motivate and excite you, and hopefully throwing all of this information at you doesn't do the opposite. Give yourself time to make a plan, try things out and re-evaluate. Tap into ways that you can feel excited to clean and don't feel like you have to do it alone. Look for fun and encouraging slogans for the kids that reinforce the importance of hard work and teamwork ("We work hard so we can play hard" and "Many hands make light work" and "I may be strong but we are stronger"). And last but not least, take breaks and find a balance that feels right for you. Set your own standards of what is "good enough" and try not to compare your cleaning habits to others. I would love to hear from you and how your approach cleaning. Do you have any additional tips for making it more fun and exciting? Where do you find your motivation? Looking for more? Check out these cleaning posts below! To download printables, click blue "download" button from the Box.com screen. The printables work best when opened with Adobe Reader, which can be downloaded free here (and is also available as an app on most devices). Printables should be editable upon opening, and lists can be saved and re-edited time and time again. Thanks again for helping us get our lives together! What app is shown on your phone near the end of your post? Thank you! I love this Jen! You are my home cleaning and organizing guru. 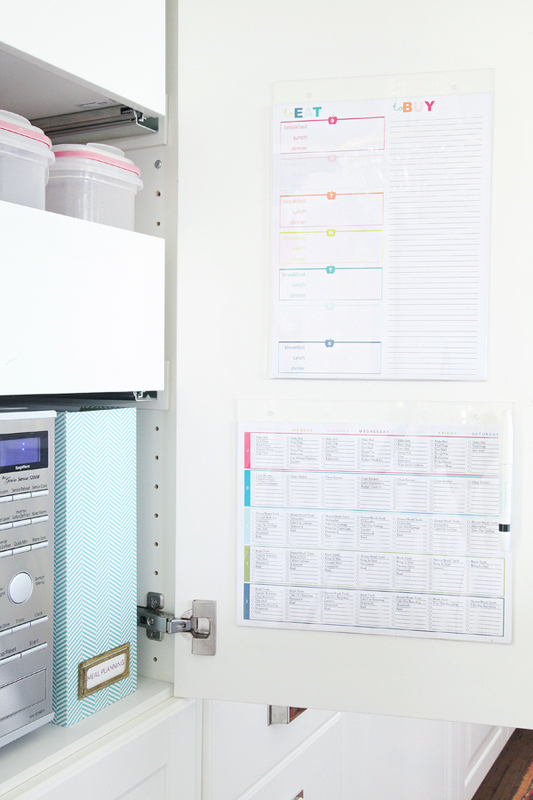 Your level of organization is amazing and yes this is an inspiring post! I am also a fan of daily bed making and am trying to teach our 4 kids this. It does make a difference! Sort of like the clean kitchen sink theory. My cleaning role model will always be my mom - she cleaned our entire house every Saturday. Kitchen, bathrooms, dusting, floors, garbages. She was so thorough! Our house was the cleanest of any of my friends' houses and someday I will achieve that also, although not anytime soon with 4 kids under 9 and this square footage. lol! So thank you for helping me get on my way to that example - your lists and ideas are the perfect baby steps! Great post! 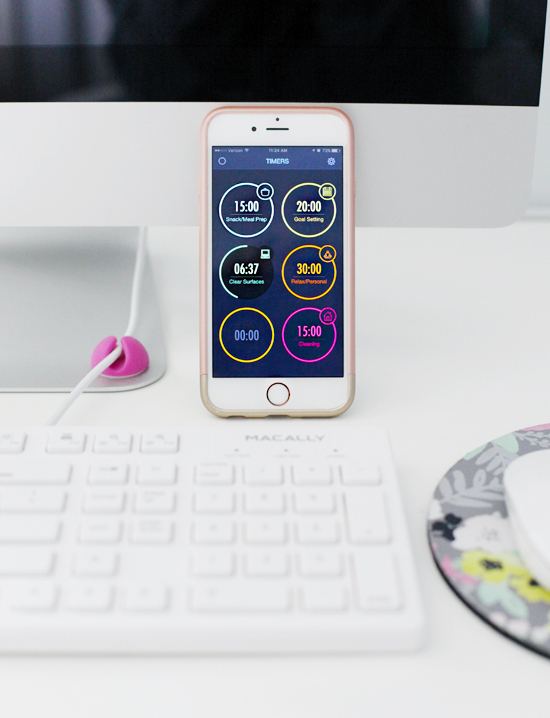 What is the app used that shows multiple timers on one screen--that would be so helpful? Thanks for this! I took your lists and made my own in my bullet journal. Now it's time to get productive, I guess! Thanks for the printables! I'm sure you have this somewhere on your blog, but can I ask what program do you use to make them? I use Microsoft Publisher or Pages on my Mac to create the pages, and then Adobe Acrobat to turn them into fillable PDF forms. I have a suggestion for you...I too don't like to wash curtains. Most of ours are dry clean only. Once a year I take them down and put them in the dryer one panel at a time with a washcloth that is damp with water and a few added drops of essential oil. Twenty minutes on a low heat and they come out dust free and smelling nice. Steam iron if needed. Great tip Christine! I have done that with other items in the past, not sure why I haven't considered doing that with my curtain panels. I appreciate the suggestion! Great advice! How do you do your floors so quickly? I have all hardwoods and feel it would take 45 minutes to sweep/vacuum daily. Any product suggestions? Thanks! For my daily floor sweep/vac, the goal for me is to just pick up crumbs, hair and clean up any spots that formed throughout the day (not a deep floor cleaning), so I am basically hitting high traffic spots and maybe grabbing some clumps of puppy hair that have floated under furniture. Plus, we have a pretty small home so total space I am covering is fairly minimal. I have a couple of tools I reach for; a cordless floor vac (this one: http://bit.ly/2qFekja), or a Swiffer stick with a microfiber cloth wrapped around the head. Both can go pretty flat to easily navigate around and under furniture. Occasionally I will pull out my spray mop (this one: http://bit.ly/2pYJiGC) and that allows me to quickly cover the floor and it dries extremely fast because I don't overly saturate. I love this! I cant wait to get my cleaning list together!! Hi Deborah! 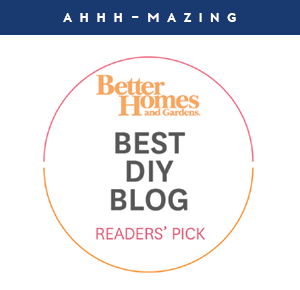 I also love both the Young House Love and Chris Loves Julia podcasts! I haven't looked for any additional in the home/DIY categories as I generally look for those that have storylines over the course of a few episodes (so True Crime podcasts actually tend to be in the majority of my playlists - Up and Vanished, Serial, S Town, Someone Knows Something, etc...). I like listening to things that keep me thinking and distracted, almost like watching a television show. But I am always looking for new shows to subscribe to, and am really open to just about anything. We miss you! I know you are super busy since you have mentioned it in some of your recent posts, but I hope to see more posts soon! I would love to see your full daily assignment sheet for your boys. That's the part I struggle with the most - figuring out which chores to assign them on a daily basis that they can manage in addition to homework and sports. Jen- Thanks so much for this post and these printables! They are great and exactly what I needed, however, I'm having trouble filling them out and printing them. The format goes all crazy on them. I've tried in view and printable format. I'm using a mac and have a current adobe version. Any other suggestions? 1. Open Acrobat (or Reader). 2. Click menu "Edit ---> Preferences"
3. Under Categories, select Forms. 4. Uncheck "Show text field overflow indicator". 6. When you reopen the document, the + sign will not appear, and it will not be printed. 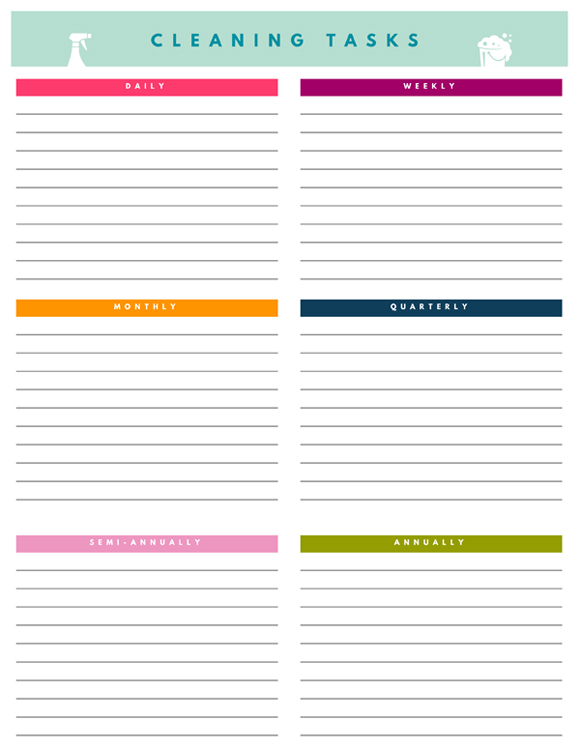 Just what I was looking for: fillable printables! I'm loving your printables, but as a digital girl never found good use for them until now!! :-D Thank you!